One more project tonight. 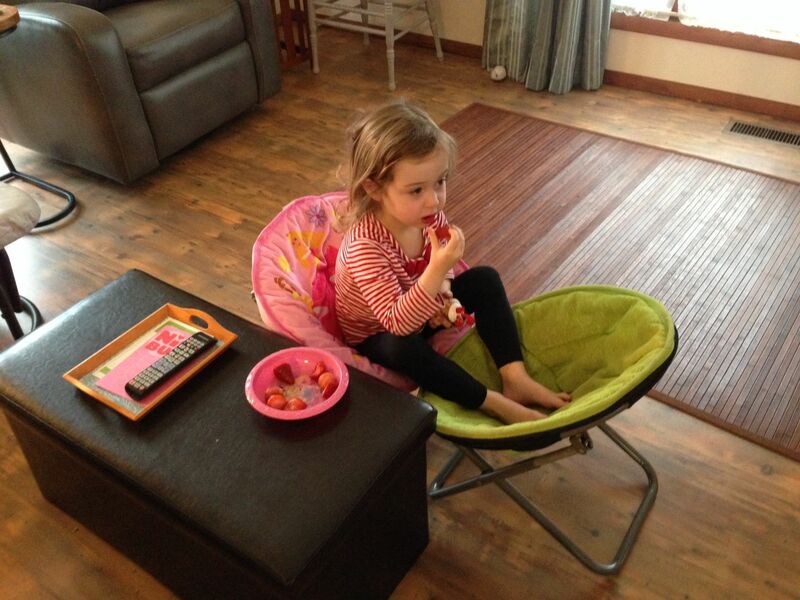 I was on a roll today finding projects to paint and re-purposing things from around my house. This one only cost me $.99 and that was for the fall font. Silhouette fall font – purchased from Silhouette store for $.99. Re-designed the letters on my Silhouette Portrait machine and printed on brown contact paper. Yes. I have one of those, too. I make a lot of projects with my Silhouette machine. I love that thing! Ribbon – from a stash I kept when making bows for my grand daughter, which she basically never wore. She hasn’t ever liked bows. But I saved the left overs. Remember, I’m a teacher. We don’t discard. Chalkboard – you will recognize it from the project I made earlier today. Just erased one message and added a new one. Pumpkin with air plant – bought that from a Vintage Market earlier this month. The other side is a jack-o-lantern! Flowers – Stole those out of an ancient arrangement I had. I may need to re-arrange that one a little to disguise the holes I left. Kerr Canning Jar – bought for Young Living Sugar Scrub. Yes, I like essential oils, too! I gave this jar two coats of off white chalk-based paint I had left over from other projects. It was a little thick, so just added a bit of water and it was fine. Then I sanded the jar a bit with 220 sandpaper and added the fall letters. 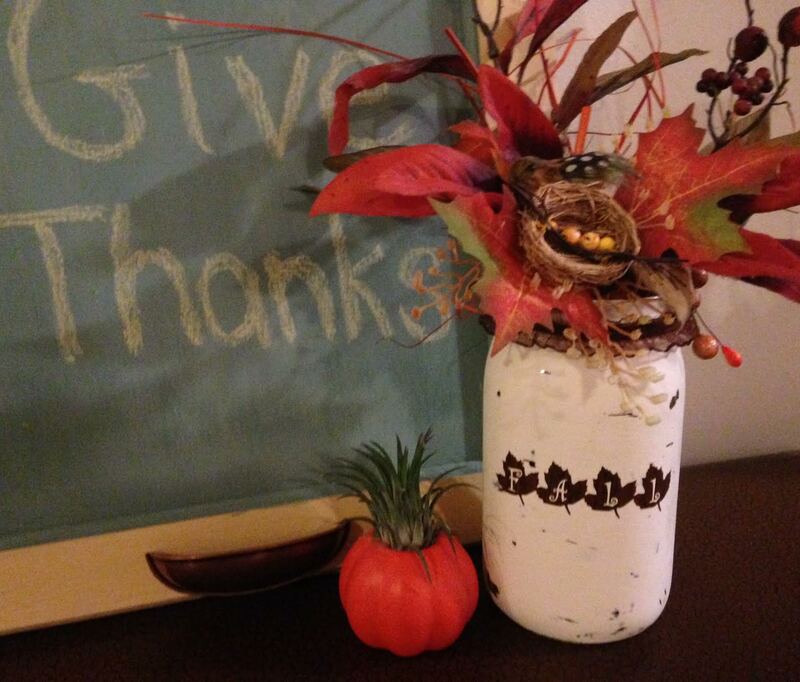 I tied a ribbon around it, stuck in the flowers, made a vignette with my chalkboard, pumpkin and jar— and there you have it! A beautiful fall arrangement. Don’t you agree? I created this project in July 2014. I love my Silhouette Portrait machine and all it can do. 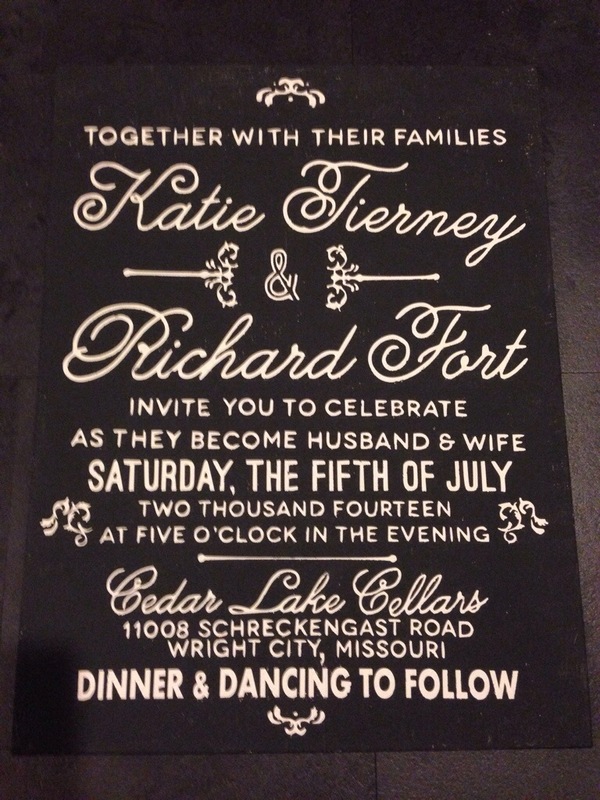 I scanned Katie and Richard’s wedding invitation and saved it as a jpg. Then I put the image into my Silhouette software and traced it. I copied and pasted each section into a new design, making sure I welded the lettering. I then turned each section sideways and enlarged them to fit on a large stretched canvas. I cut each section using contact paper. Next I painted the canvas with Old White Annie Sloan chalk paint. I applied the contact paper lettering and painted over everything in Old white again. This is to make sure there is no bleed through with the final color. Once dry, I used Annie Sloan Graphite and when that dried, I peeled off the contact paper lettering. As a final step I will add a coat of Annie Sloan clear wax and now Katie and Richard will have a large vintage look wall hanging with the exact fonts from their wedding invitation. I’m still amazed that you can trace and cut lettering from an image with the Silhouette. I created this project June of 2014. This was my first experiences with chalk-type paints back in January 2014.